A shopkeeper spotted the two girls wandering alone at the train station in Faridabad, India. He kept an eye on them, wondering if their parents or relatives were close by. Three hours passed. No one came. The next day, police brought the sisters – aged three and four – to the SOS Children’s Village in Faridabad, near Delhi, while authorities tried to track down their parents or relatives. That was in mid-August. Months have passed, and no one has come forward to claim the girls. The situation is a familiar one. Of the thousands of children abandoned each year in India, most are girls. Among poorer families, girls are not as valued as boys are and can be seen as a burden because marriage dowries can be costly. SOS Children’s Villages Faridabad takes in four to five children each month on an emergency basis while child welfare authorities attempt to locate their guardians or find other living arrangements, says Ms Paldon. Sometimes police can track down their family, but other times – like in the case of these two girls - they cannot. 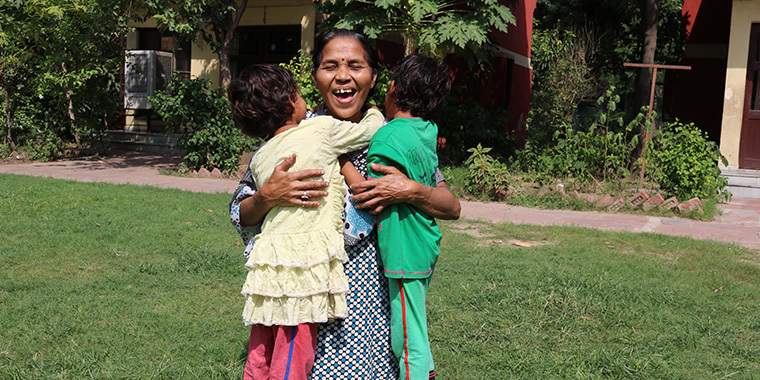 SOS mother Jharna cares for the girls in her SOS family. She tried to find out more about them, but their answers were never clear. They speak a dialect of Hindi that leads people to think they are from the province of Bihar, more than 1,000 kilometres away. The girls carried only a burlap rice sack containing a few matching dresses when they were found. Otherwise, there were no clues about their identity. The village assumes they are biological sisters. “At bed time, the older child talks about her family and what happened to them, but it’s hard to make sense of it,” says SOS mother Jharna. The girls ask to sleep beside her and that is when they talk most. 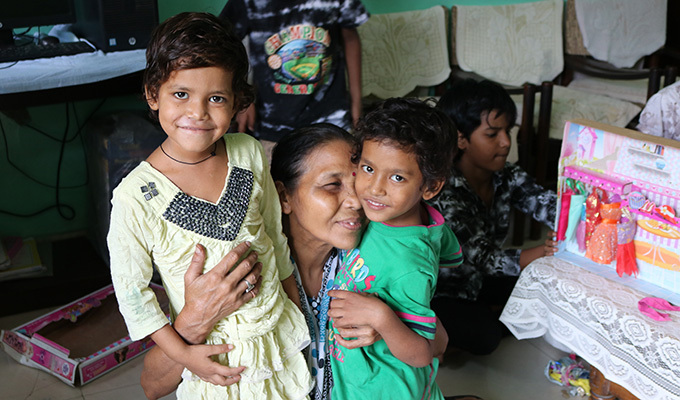 In October, the local child welfare committee decided the girls should remain permanently at SOS Children’s Village Faridabad where they will be cared for in Jharna’s SOS home. Surrounded by their SOS brothers and sisters, the girls smile as they play with their kitchen set and dolls. “They’re happy here,” Jharna says.